Kamen Rider Zi-O, the 20th and final entry in the Heisei Period of Kamen Rider premieres this weekend. In preperation, more returning actors and artists have been announced for the new series. 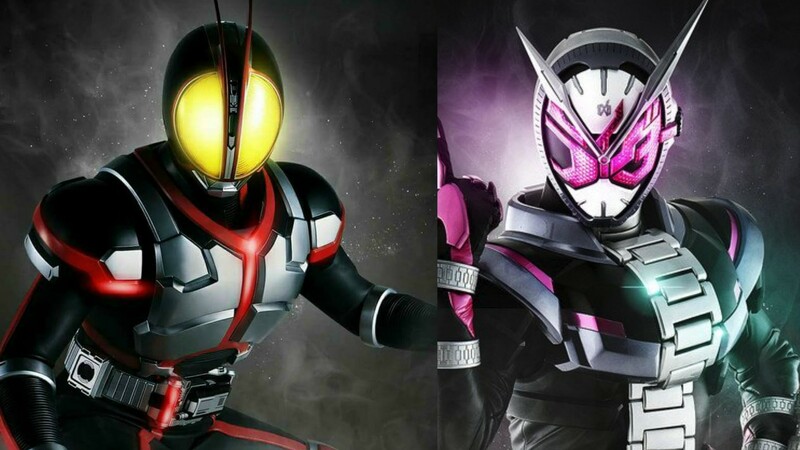 Following the return of Kamen Riders Build, Cross-Z, Ex-Aid, and Brave to Zi-O the next two Riders Zi-O and Geiz will encounter have been revealed to be Kamen Rider Faiz and Kamen Rider Kaixa. Reprising their roles, Kento Handa as Takumi Inui and Kohei Murakami as Masato Kusaka respectively these returning Legend Riders will be featured in episodes 5 & 6 of Kamen Rider Zi-O. That’s not it for returning Faiz Legends. It has also been revealed the opening theme for Kamen Rider Zi-O, titled “Over Quartzer” will be performed by a special unit made just for Zi-O consisting of Shuta Sueyoshi and ISSA. Both veteran Rider artists as Shuta performed “Climax Jump” the opening of Kamen Rider Den-O 11 years ago and ISSA who performed “Justi φ’s” the opening for none other than Kamen Rider Faiz. What do you think of these returning Faiz Legends? Who would you want to see Zi-O bring back next? Leave a comment down below!